A girl whose video is trending on YouTube has incredible control over her facial features – and in particular, her eyebrows. Though unsuspecting at first, the cute girl, named Sarah, shows quite the unusual talent as she causes her eyebrows to dance and spasm in rhythm. The 14-year-old girl starts out with a shy smile to the camera, and an awkward grimace as she waits for the music to start. What follows is a bizarre, hilarious, and slightly disturbing use of one’s facial muscles. 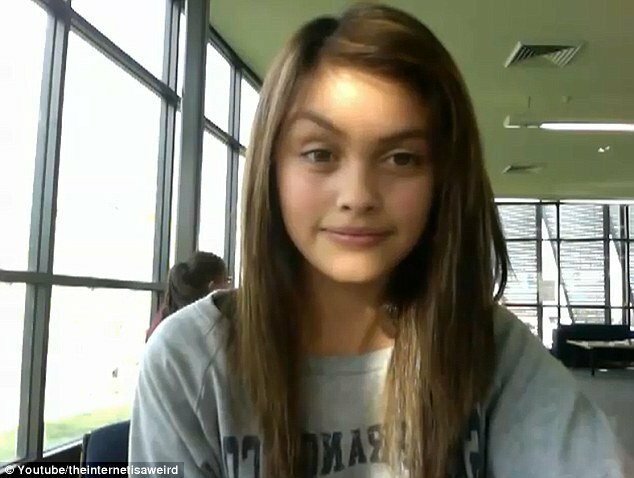 The video, uploaded to Youtube by user Theinternetisaweird, calls it a girl’s “funny talent” and had almost 3.9 million viewers up to now. As the music starts, Sarah coyly glances off to one side and dramatically raises one eyebrow. Then, it’s onto the other side. The girl does every arch in tempo and on point. The most impressive part of this video – which is fast becoming an internet sensation with more than a thousand hits – is when the girl begins doing what can only be called the Worm, but with her eyebrows. One side starts the motion, and then the movement ripples to the other side, and then back again – still in tempo with the music. Once the show is done, the girl returns to smiling at the camera, no doubt proud of her unusual and mesmerizing talent.